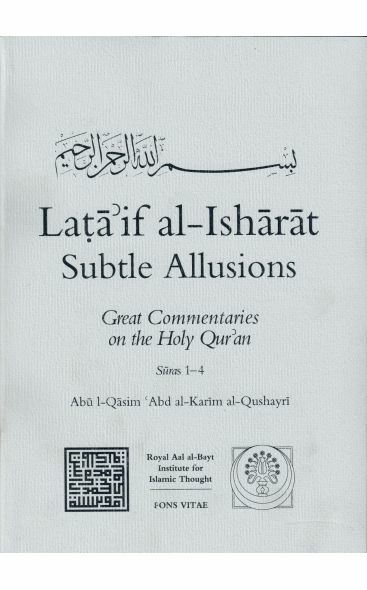 Subtle Allusions (Lataʾif al-isharat) is a line-by-line Arabic Qurʾanic commentary by the scholar and Sufi master Abu l-Qasim al-Qushayri (d.465/1074), who was also the author of the influential and widely read handbook on Sufism known as the Risala. 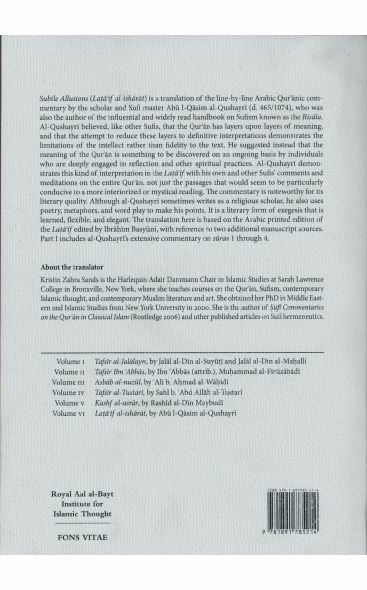 Qushayri believed, like other Sufis, that the Qurʾan has layers upon layers of meaning, and that the attempt to reduce these layers to definitive interpretations demonstrates the limitations of the intellect rather than fidelity to the text. He suggested instead that the meaning of the Qurʾan is something to be discovered on an ongoing basis by individuals who are deeply engaged in reflection and other spiritual practices. Qushayri demonstrates this kind of interpretation in the Lataʾif with his own and other Sufis’ comments and meditations on the entire Qurʾan, not just the passages that would seem to be particularly conducive to a more interiorized or mystical reading. The commentary is noteworthy for its literary quality. Although Qushayri sometimes writes as the religious scholar he was, he also uses poetry, metaphors, and word play to make his points. It is a literary form of exegesis that is learned, flexible and elegant. The translation here is based on the Arabic printed edition of the Lataʾif edited by Ibrahim Basyuni, with reference to two additional manuscript sources. Part I includes Qushayri’s extensive commentary on suras 1 through 4. 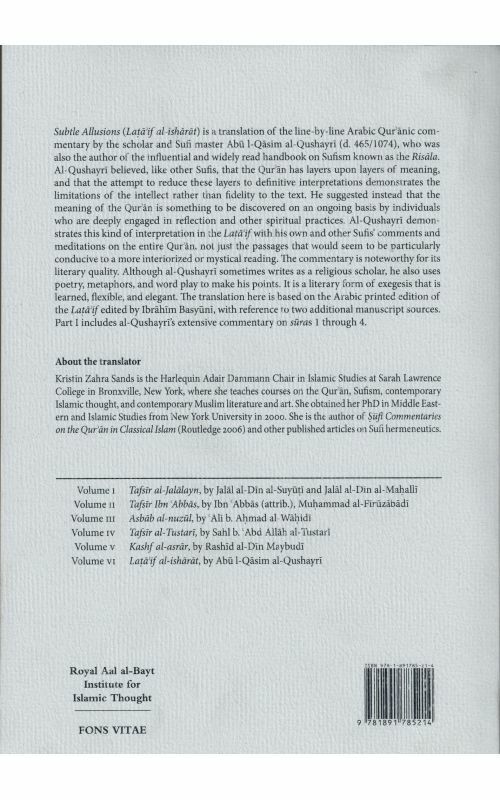 Kristin Zahra Sands is the Harlequin Adair Dammann Chair in Islamic Studies at Sarah Lawrence College in Bronxville, New York, where she teaches courses on the Qurʾan, Sufism, contemporary Islamic thought, and contemporary Muslim literature and art. She obtained her PhD in Middle Eastern and Islamic Studies from New York University in 2000. She is the author of Sufi Commentaries on the Qurʾan in Classical Islam (Routledge 2006) and other published articles on Sufi hermeneutics.